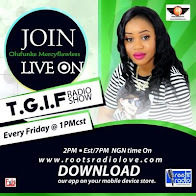 A lady has revealed what any man seeking her hand in marriage must do before he can be accepted. 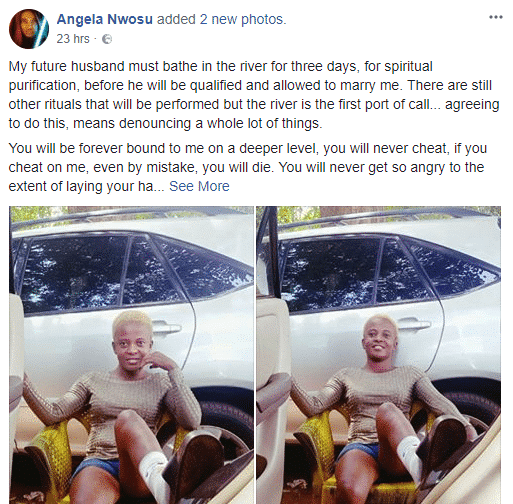 According to her Facebook post, the man must bathe in a river for three days for spiritual purification amidst other things. 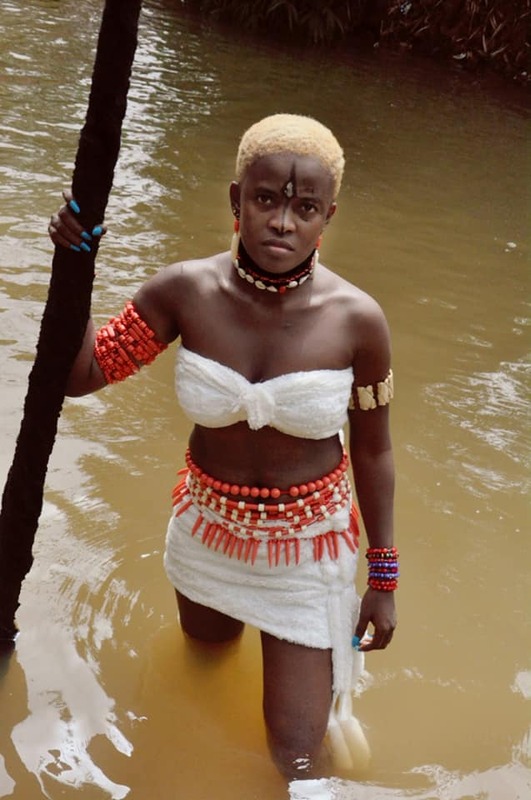 ”My future husband must bathe in the river for three days, for spiritual purification, before he will be qualified and allowed to marry me. There are still other rituals that will be performed but the river is the first port of call… agreeing to do this, means denouncing a whole lot of things. You will be forever bound to me on a deeper level, you will never cheat, if you cheat on me, even by mistake, you will die. You will never get so angry to the extent of laying your hands on me, if you touch me violently, the gods will take drastic action on you, and no matter how much I love you and forgive you, the gods will surely give you equal pains… go and ask the random guys that did as little as slapping me in the past, they will gist you. I know you will definitely see this as a joke, as usual, but my duty is to spread it and pass the message across, so you know what’s up, don’t say I didn’t warn you. 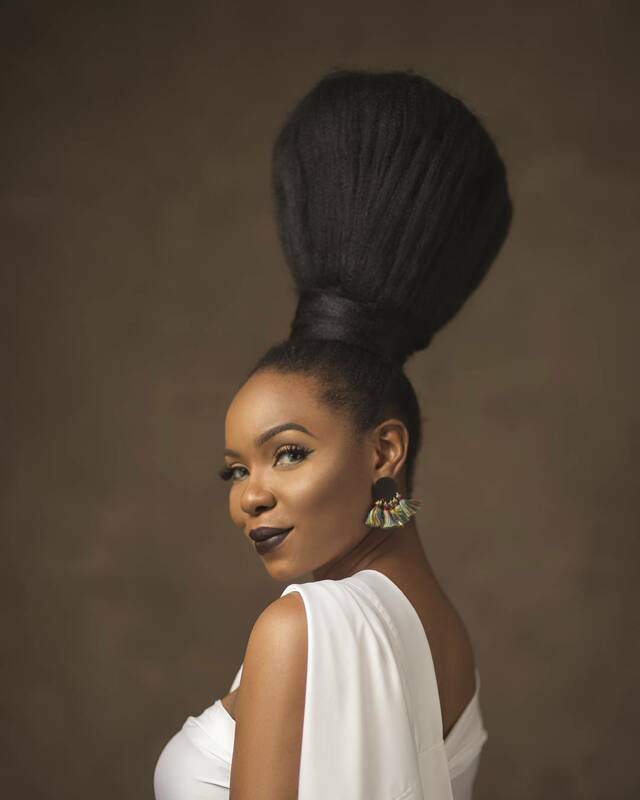 That aside, I won’t begin to mention the immeasurable blessings and favour that awaits you, after you marry an Anaedo priestess and the voice of Amadioha. You don’t know what you don’t know, until you know, ighotago?